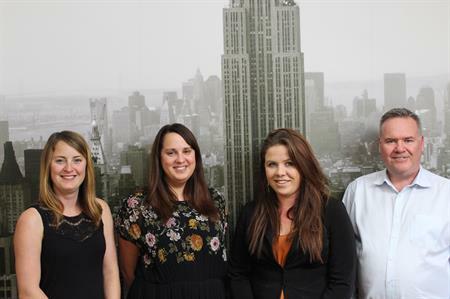 New additions include a client services director, marketing manager, senior creative and a business development manager. XSEM has made four new hires across the business. New client services director Mike Hamilton has spent many years in the hospitality industry working with the likes of Forte and DeVere. Most recently, he has worked for a selection of experiential marketing agencies including WRG, N2O and mclcreate. With more than eight years’ experience in planning and executing marketing strategies, XSEM’s new marketing manager Natalie Antonopoulos is the agency’s first investment into internal marketing resource and her role is to develop and grow the XSEM brand. Nikki Symons joins as senior creative, bringing a wealth of experience in B2B and B2C markets. Brooke Dawson has also joined XSEM as the newly appointed business development manager. This follows 10 years’ experience within senior positions in industries such as hospitality, drinks and travel. Dan Bardgett, managing director at XSEM, said: "We’re investing in our business development, marketing and creative teams in order to maintain our competitive advantage as we grow. "We want to effectively communicate the strengths of our team from the very start of a new business relationship and our new hires are fundamental to this. Each new member has extensive experience and adds varied expertise to the business as we build our client offering."